CURTIS PARK TOWNHOME REMODELED DOWN TO THE STUDS IN 2014! Enter to 9 ceilings, hrdwd floors & a living rm w/ original coal burning fireplace. Sustainable beetle kill Pine tongue & groove walls & ceiling accents throughout. New kit. w/ stainless appliances, gas range, hood, custom cabs, subway tile, quartz countertops & undermount sink w/ picture window. Dining area & main lvl bth. 2 bedrooms & full bth up w/ stacked washer/dryer. New plumbing, roof & electric. Covered back patio & fenced yard. Off street parking behind w/ room to build a garage. Steps to light rail and Curtis Park. 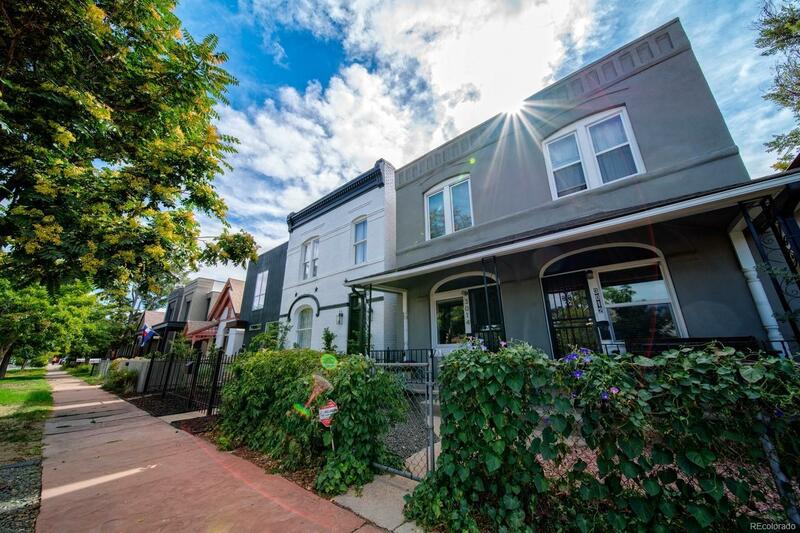 Minutes to all that dwntn, uptown, upper larimer & RiNo districts offer. SEE STREAMING VIDEO!